to ensure we have these essential element of the fabrication processes ready to meet your project needs. Our state-of-the-art material cutting processes include laser, plasma, and oxy-fuel systems. 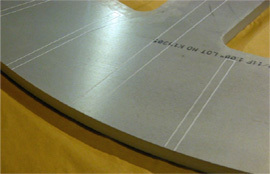 For heat-sensitive materials, we also provide water-jet cutting. CNC controls and our skilled technicians consistently achieve the optimum in quality output. Our systems are capable of producing images, text, logos, and marking guides in precise locations. – is more, much more!